As their name suggests, Ohio goldenrod plants are indeed native to Ohio as well as parts of Illinois and Wisconsin, and the northern shores of Lake Huron and Lake Michigan. While not widely distributed, growing Ohio goldenrod is possible by purchasing seeds. 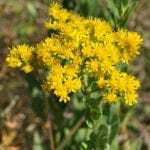 The following article contains information on how to grow Ohio goldenrod and about Ohio goldenrod care within a native growing environment. Ohio goldenrod, Solidago ohioensis, is a flowering, erect perennial that grows to about 3-4 feet (around a meter) in height. These goldenrod plants have flat, lance-like leaves with a blunt tip. 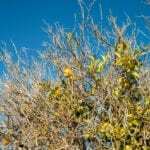 They are primarily hairless and the leaves at the base of the plant have long stalks and are much bigger than the upper leaves. This wildflower bears yellow flower heads with 6-8 short, rays that open on stems that are branched at the top. Many people think that this plant causes hayfever, but actually it just happens to bloom at the same time as ragweed (the real allergen), from late summer into fall. Its genus name ‘Solidago’ is Latin for “to make whole,” a reference to its medicinal properties. Both Native Americans and the early settlers used Ohio goldenrod medicinally and to create a bright yellow dye. The inventor, Thomas Edison, harvested the natural substance in the plant’s leaves to create a substitute for synthetic rubber. Ohio goldenrod needs 4 weeks of stratification to germinate. Direct sow seed in the late fall, lightly pressing the seeds into the soil. If sowing in the spring, mix the seeds with moist sand and store in the refrigerator for 60 days prior to planting. Once sown, keep the soil moist until germination. As they are native plants, when grown in similar environments, Ohio goldenrod care only includes keeping the plants moist as they mature. They will self-sow but not aggressively. This plant attracts bees and butterflies and makes a lovely cut flower. Once the flowers have blossomed, they turn from yellow to white as seeds develop. 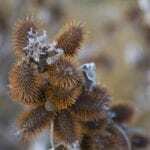 If you wish to save seeds, snip the heads before they become completely white and dry. Strip the seed from the stem and remove as much plant material as possible. Store the seeds in a cool, dry place. Read more articles about Goldenrod.